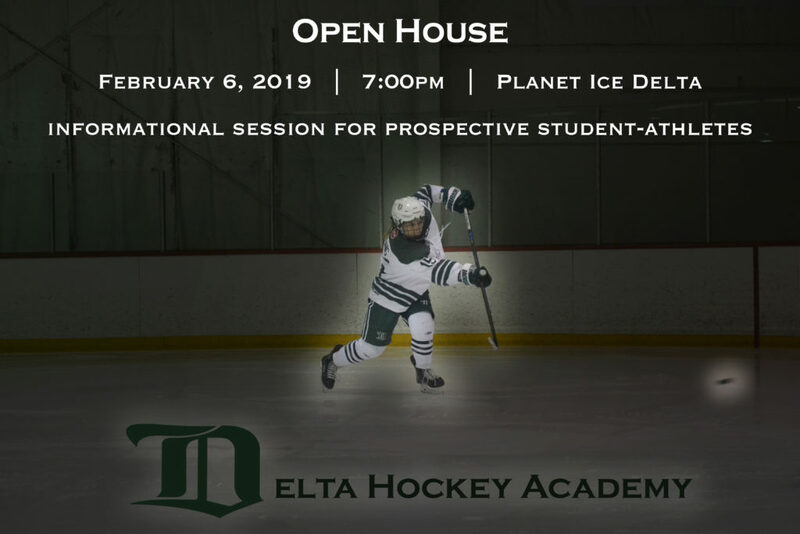 Join us on Wednesday, February 6 at 7:00pm for the Delta Hockey Academy’s Annual Open House at Planet Ice Delta for an informational session about our academic and athletic programming. All prospective student-athletes and parents are welcome to attend. Following the informational session, you will have the opportunity to tour our high performance fitness centre, health clinic, classrooms and equipment room while connecting with our coaching staff.